SNAP is a unique partnership bringing together non-profit organizations and the City of Surrey to offer an exciting summer program for post-secondary students interested in environmental issues! SNAP promotes environmental stewardship within Surrey’s natural areas and urban forest parks through habitat restoration and environmental outreach. Local community groups formed Surrey’s Natural Areas Partnership (SNAP) in 2001 to promote the stewardship of Surrey’s natural areas. Originally a team of 4 students doing habitat restoration, SNAP now employs over 10 post secondary students doing habitat restoration and environmental education. These students work with the community to reach their goals of restoring, enhancing and protecting Surrey’s natural areas and parks and to increasing awareness and stewardship of these areas. SNAP’s Habitat Restoration Team works hard to restore and enhance natural areas such as forests and meadows. Their efforts are focused on the removal of invasive plants, yard waste and refuse from Surrey’s parks. They also host volunteer stewardship projects with local community groups. Look out for SNAP’s brightly coloured t-shirts in Surrey’s parks. Would you like to get involved? Come visit us in your local park and find out more about habitat restoration. Dedicated to educating the next generation of environmental stewards, the Environmental Education Team leads fun and interactive nature programs. Children throughout Surrey are learning about the importance of nature in the city, with topics like forest habitats, amphibians, bugs, birds and more! Look for these free events offered in Surrey parks, at recreation centres and at the new Surrey Nature Centre at Green Timbers. You can help by getting involved! Contact us at 604-501-5158 to find out when SNAP will be in your neighbourhood. Surrey Natural Areas Partnership (SNAP) is a unique, non-profit community partnership that brings together local community groups with the goal of promoting stewardship within Surrey BC’s natural areas and parks. 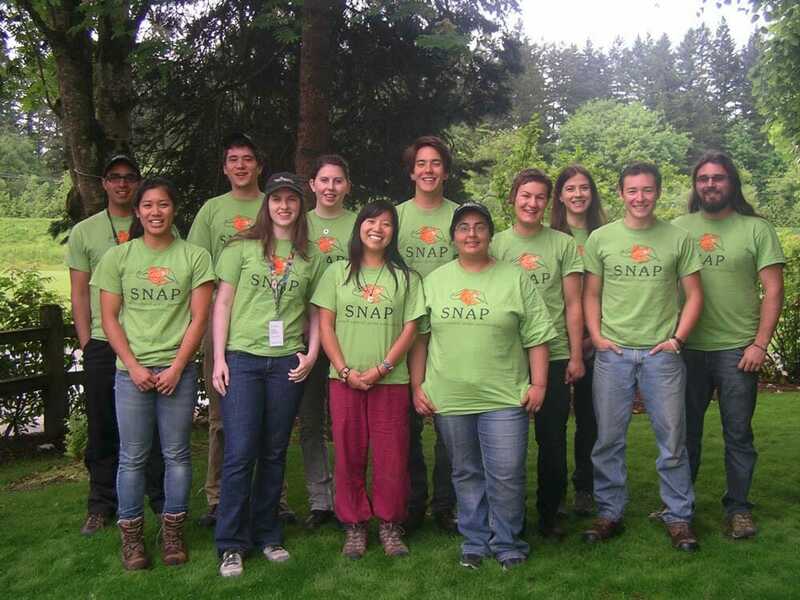 To fulfill this goal, SNAP employs a small group of post-secondary students each summer who work in two different teams : Environmental Outreach and Habitat Restoration. SNAP also relies on a network of dedicated volunteers from within the community who assist our teams. SNAP’s partners include The Green Timbers Heritage Society, Sunnyside Acres Heritage Society, White Rock & Surrey Naturalists, and the City of Surrey’s Parks Division. Please explore our website, and if you have any questions or concerns, feel free to contact us here. If you would like to learn more about volunteer opportunities for the summer, click here!